Apra : Blogs : Calling All Thought Leaders! Do you have an innovative idea you are itching to share with your colleagues? A how-to process that works for you that you know could help others? Perhaps you’ve observed a new trend in your sector of prospect development that the community should be prepared for? This may be your moment. We want to hear from you if…. you’re seeing a new trend emerge in prospect development, or that has implications for prospect development and you’re interested in writing it up. …and we’ll help you turn your good ideas into articles! For a copy of our editorial guidelines, visit the Connections “About” page. If you have an idea for an article or want to recommend yourself or someone else as a subject matter expert, please send an email to connections@aprahome.org that briefly outlines why your topic is important and how it is relevant to Apra members. Please include details on the sources of your information (e.g., personal involvement, research, interviews), as well as your current position and professional background. 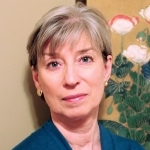 Susan Faraone is a senior consultant at Aspen Leadership Group, as well as the editor of Connections. She has worked in higher education institutions for much of her 35-year career in a wide variety of roles, leading strategic and campaign planning, front-line fundraising teams, prospect development (research, analytics and prospect management), advancement operations, donor relations and stewardship.